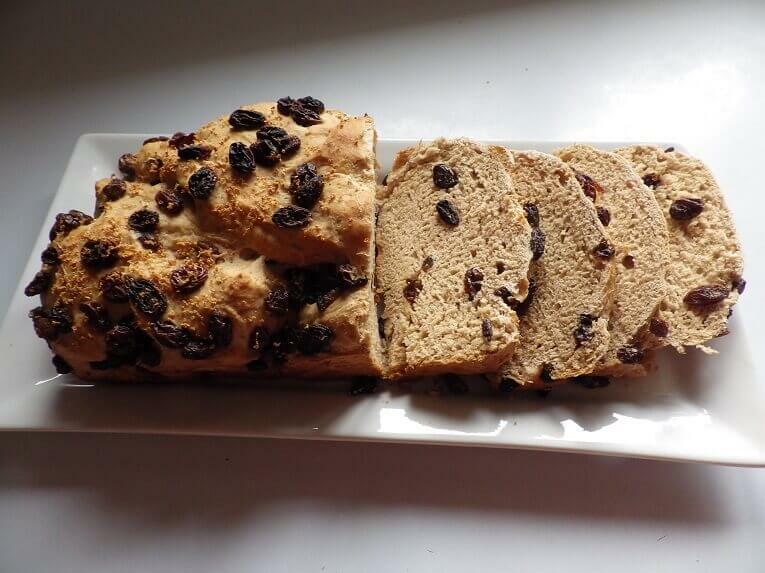 This bread was inspired by Canadians where you’ll find both maple syrup and wheat in abundance. But they didn’t stop there and added everything from nutmeg and cinnamon to powdered sugar, butter and raisins. Lots of raisins. 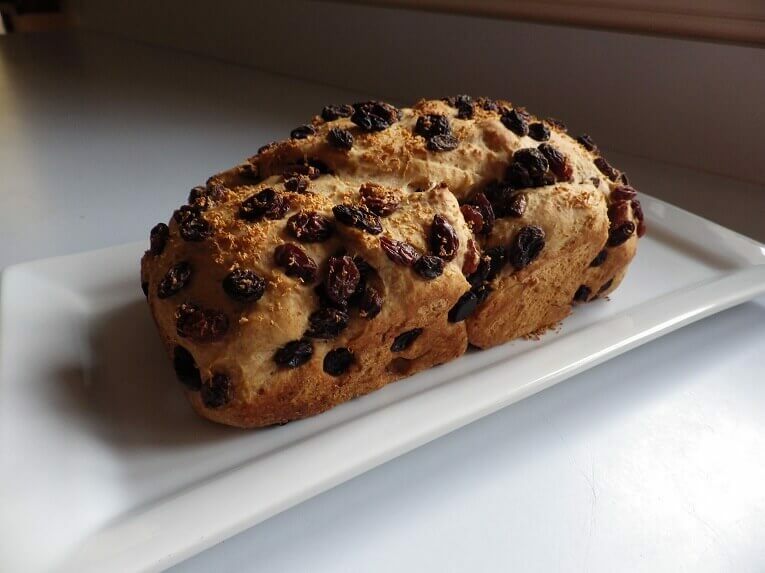 The result is a highly flavorful white bread with a very good nutritional profile and the added accent (and Vitamin-C) of a tablespoon of either grated lemon peel or orange peel. 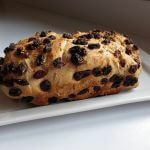 The bread is easy to make from start to finish in your bread machine. 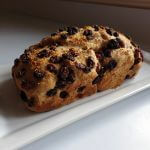 It makes a great breakfast bread or dessert bread and is a wonderful foundation for French toast or toasted and buttered at tea-time. 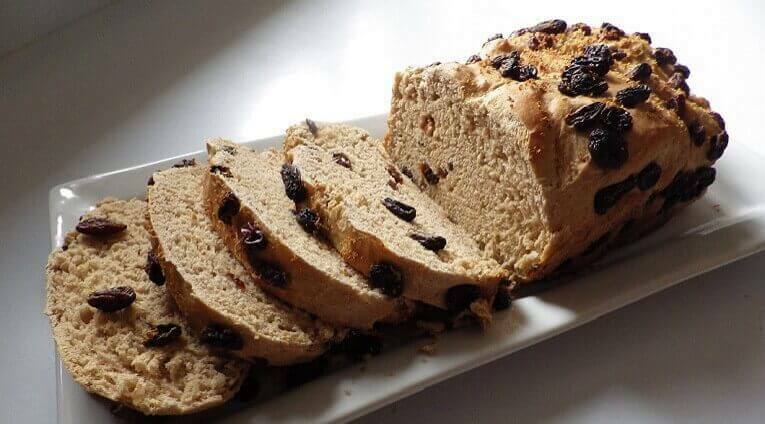 It’s also a kid’s favorite because it’s so loaded with raisins inside and out. 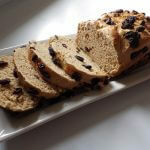 Because raisins are a part of this recipe they’ll need some special handling. Reserve them and either add them at the end of the kneading cycle when you should hear an audible beep or add them to the fruit and nut hopper if your machine has one. 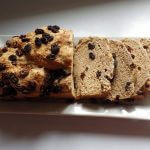 Place all of the ingredients in the bread pan in the order indicated in the recipe except the raisins and select the basic white bread setting for a 1.5-pound loaf and a medium crust. 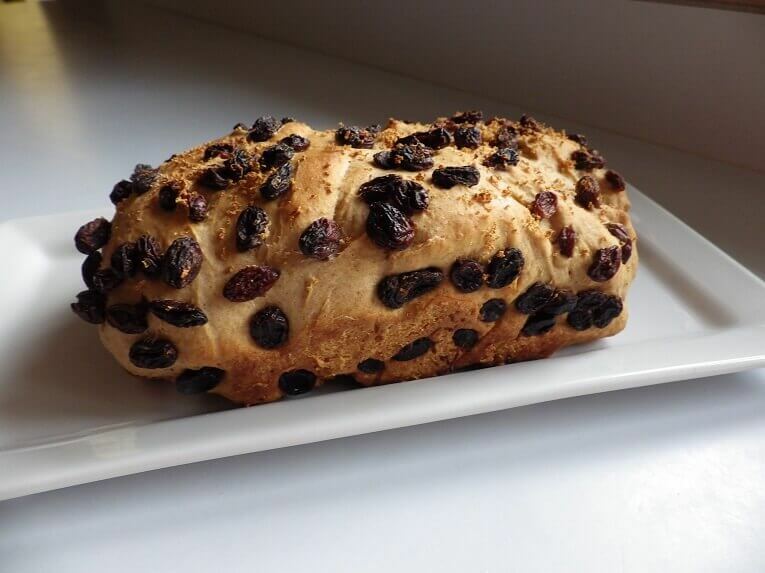 Reserve the raisins for the end of the kneading cycle. You should hear an audible beep when this happens. If you have a fruit and nut hopper, add ½ cup of raisins to the hopper but toss them in flour first so they don’t stick to the sides of the hopper. 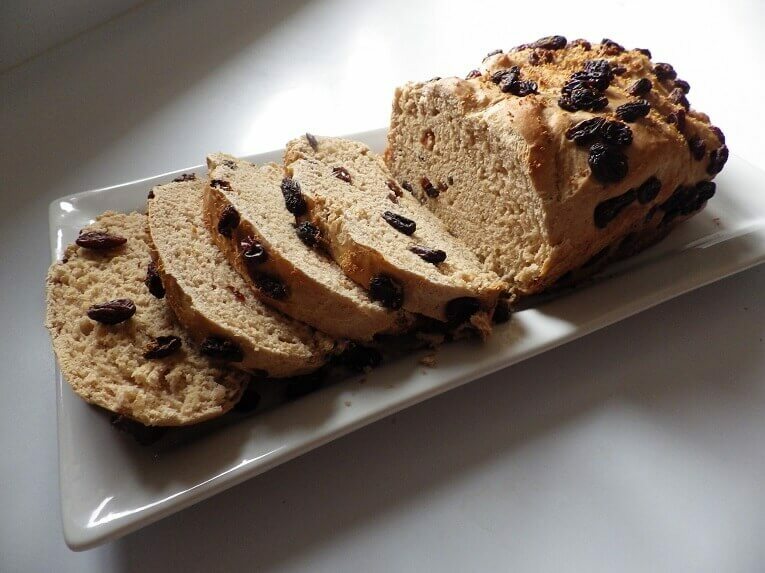 When the kneading cycle is complete and before the rising cycle begins, toss the remaining ¼ cup of raisins on top and let the bread continue through the rising and baking cycle. When done, let rest for 10 minutes on a wire rack and then slice and serve.